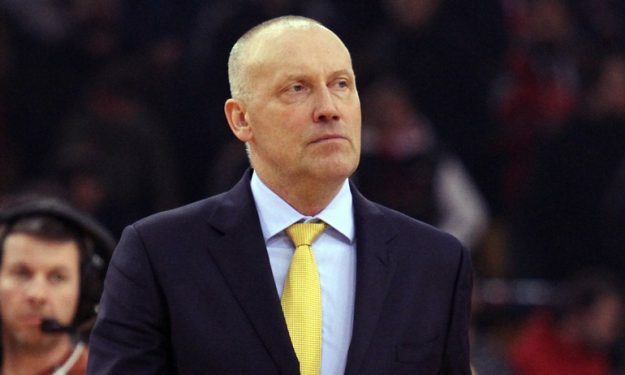 Cantu’s owner Dmitry Gerasimenko announced in an interview which was published in the club’s website that Lithuanian coach Rimas Kurtinaitis and the team parted ways, just one day after the release of Gani Lawal. Former assistant Kirill Bolshakov will be the interim coach of the “Red October” Cantu, which is the current official name of the team. As for Kurtinaitis, he had a two year guaranteed deal with the club, so he will be compansated, as his agent Obrad Fimic pointed out. Lawal, as expected, was announced today as the new addition in Sassari’s roster, which is currently fighting for a spot in the knock out stage of FIBA Champions League. As for Cantu, the team currently has a 2-7 record in Legabasket.